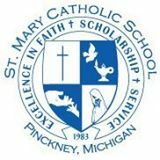 Welcome to St. Mary Catholic School in Pinckney, where our family atmosphere, traditional approach to education, high standards and small class sizes give children a solid lifelong foundation. Serving students in preschool through 8th grade, we offer highly qualified, faith-based instruction in excellent facilities, with a personal touch. We truly care if your child is succeeding or not. Listening to our students as you walk through our hallways you will find happy learners – there is a difference here. In addition to outstanding faith formation and academics, we work to let families know they are not alone on the spiritual and educational journey they are taking with their child. Our outstanding teaching staff, involved families and open door policy create a welcoming circle of people truly interested in each child’s spiritual and academic growth. In addition to art, music, band, Spanish and computers, we accommodate a range of learning needs, including speech and language development. We also offer before and after care as a necessary resource to assist working parents looking for a safe, fun and secure environment for their children. 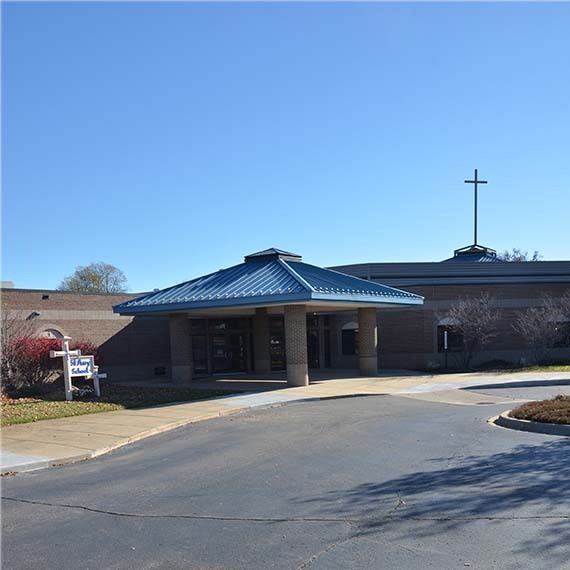 Come visit St. Mary Catholic School where we are partnering with parents to help their children receive a high-quality, faith-filled education. It is the mission of St. Mary Catholic School to be a partner with parents in the spiritual and academic education of their children. This Catholic education is rooted in the Gospel teachings of Jesus Christ and takes place in a positive atmosphere where students are encouraged to reach their full potential, both in living out their Catholic faith and pursuing academic excellence. Highly qualified, caring teachers are one of the most important aspects of our students’ success at St. Mary. In addition, our traditional approach to education is very successful and has resulted in outstanding test scores across all grades. We also have been acknowledged by the Diocese of Lansing for our especially high achievement in math. In addition, newer facilities, including a newly remodeled computer lab, make it easier for our teachers to provide individualized learning for each child’s needs. During the school day, our students participate in art, music, band, Spanish and computers. Our hallways are lined with student-made projects and works of art. Students at St. Mary are encouraged to be hands-on in their walk with Christ. We encourage students to live out their Catholic faith by attending weekly Mass, receiving the sacraments, taking on leadership roles in Christian service projects, and in helping each other become the best they can be. We encourage students to focus on the spirit of stewardship by challenging each one to use their gifts of time, talent and treasure to glorify God and benefit others. St. Mary has a vibrant extracurricular program with multiple opportunities for students to be involved in sports and academic extras. We offer volleyball, cross country and basketball as part of our school league, and students also participate in community recreation programs together on other teams such as football, cheer and soccer. 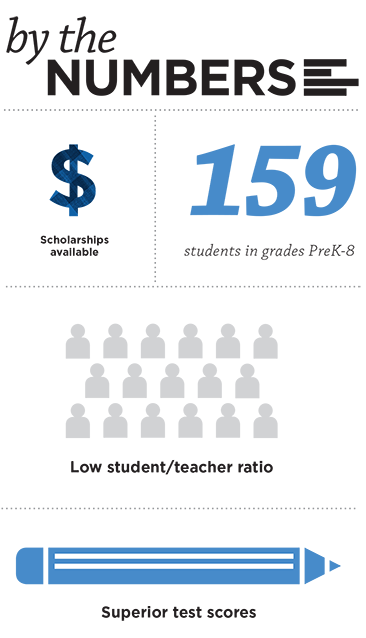 Academic programs outside of the school day vary and include participation in a geography bee and the Green School initiative. Scholarships and financial aid, including the Tricia T. Berger Music Scholarship, also are available. Come visit us today and see what a difference a Catholic school can make.